Are you on the hunt for easy recipes? Fall has arrived in Texas and I am filling our weekly meal plan up with lots of comfort food. Taco Soup is one of those. That said, we recently took the leap and purchased an Angus bull and split the grass-fed beef for three other families. I am now on the hunt for tons of beef recipes to share with you, this being one of them. 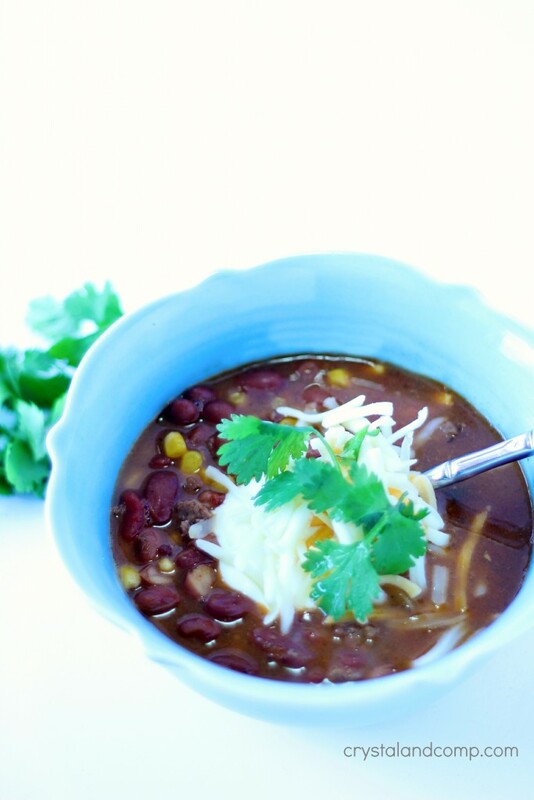 This Taco Soup is one I’ve made for a couple of years. It is inspired by a similar slow cooker version. I made it one day when my brother and his wife and kids were visiting (back when we did my bedroom remodel and before his line of work moved him to Upstate New York). He has been asking me to share the recipe with him ever since and I am just how pulling it together for him. So James, this recipe is for you. Stay warm up there in New York this winter. And that cornbread in the background is a Trader Joe’s mix. I am totally mailing you a box. You’ll love it. Ready for the recipe? 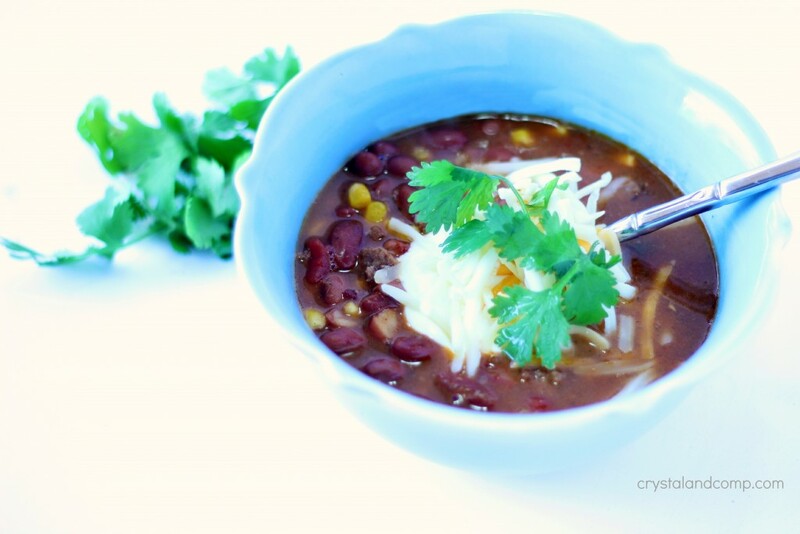 It comes together quickly and is perfect for a busy weeknight! Add the olive oil to a large cooking pot. 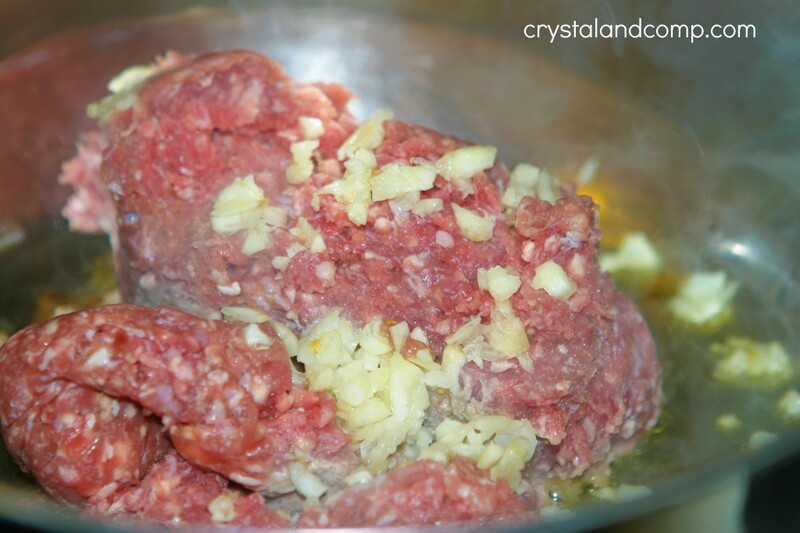 Over medium heat, add in the ground beef and the garlic. 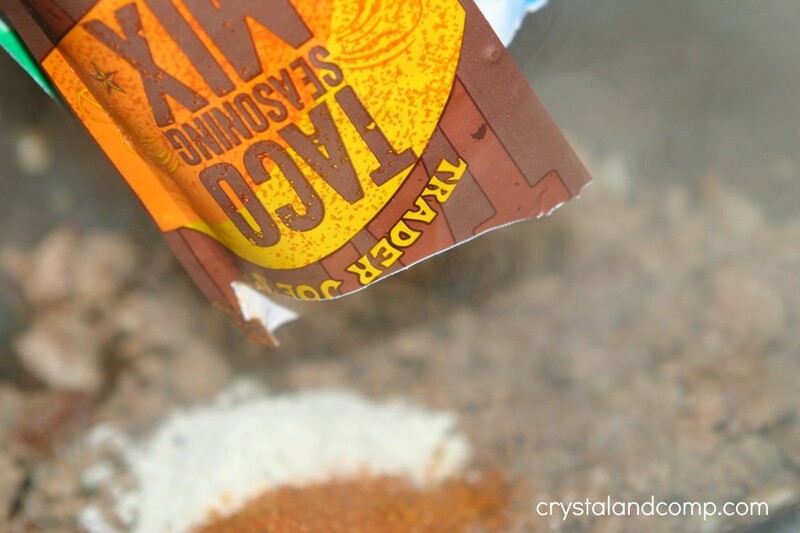 Add in the taco seasoning and dry Ranch mix. 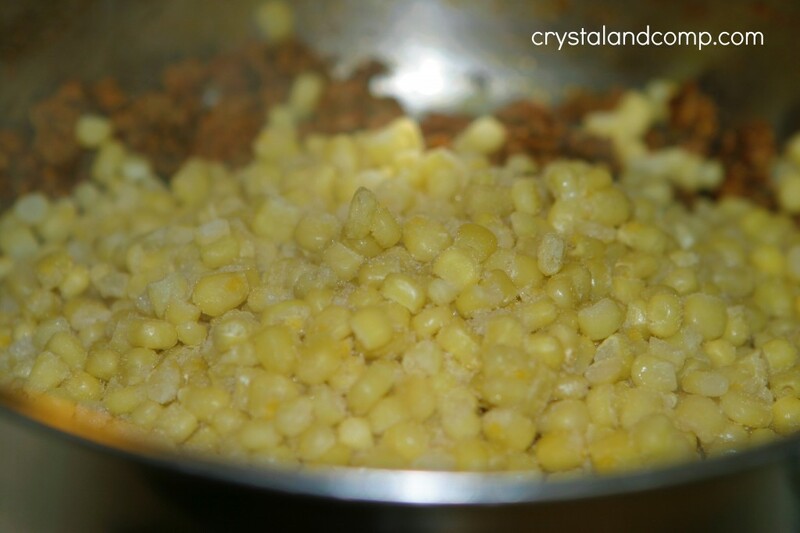 Toss in the frozen corn. Add the Rotel tomatoes, juice and all. 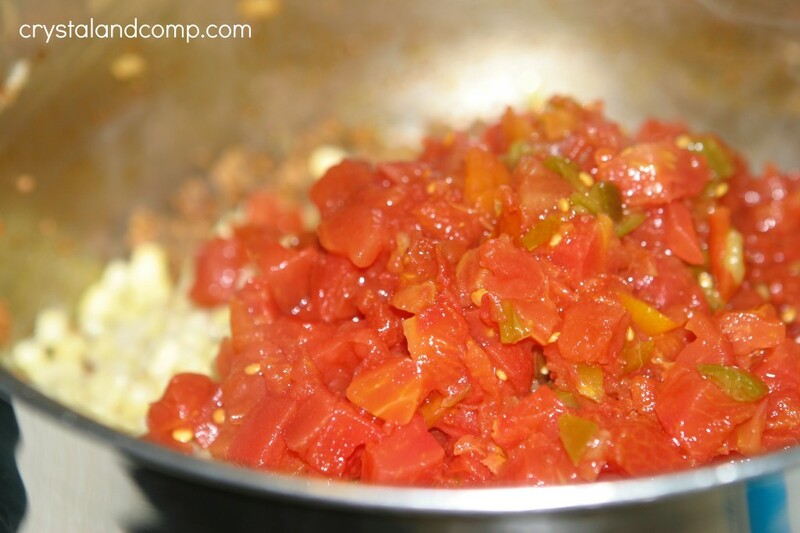 Mix everything together well and continue to cook over medium heat for 2-3 minutes. Add in all four cans of the beans. Juice and all. Look at how amazing that looks. Add in the water. 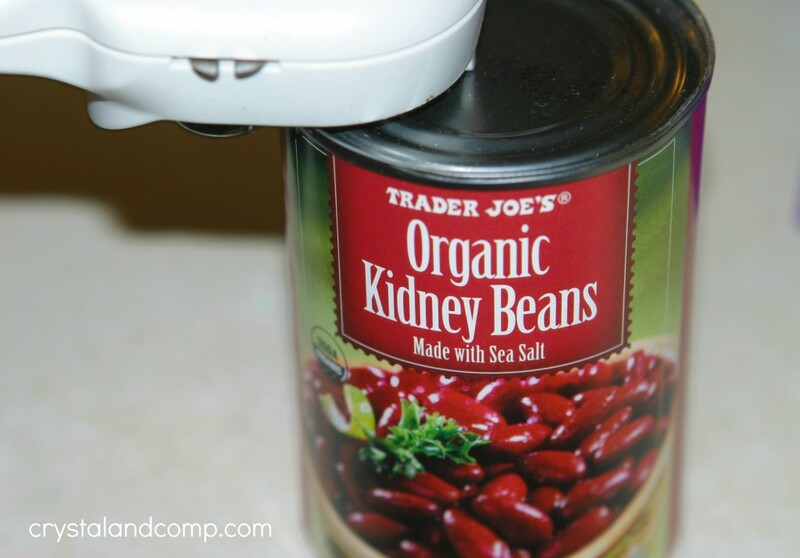 Just use two of the empty bean cans. 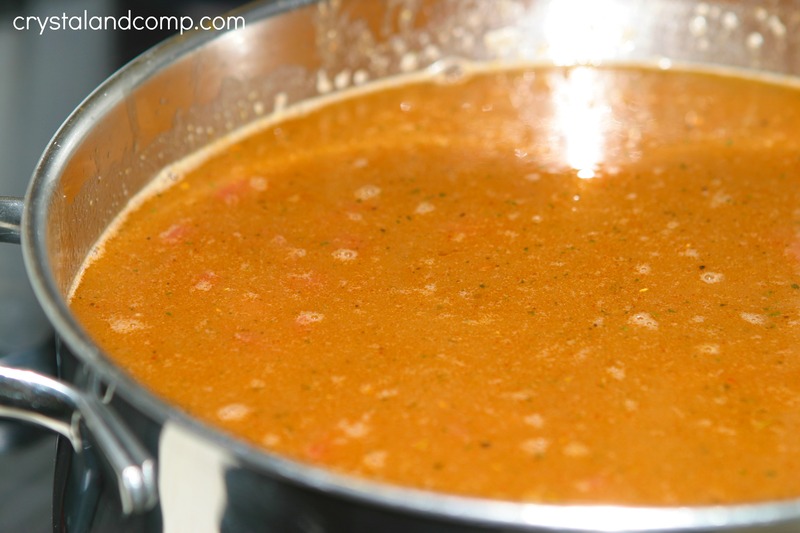 Bring it to a boil and then reduce to a simmer for 30 minutes. You can simmer longer if you want. While it is simmering is when I bake my cornbread. I love to top mine with shredded cheese and a scoop of sour cream. For kids who do not like soup, drain their soup and serve it over a bed of tortilla chips. Top with cheese and you have super easy nachos! Have leftover soup? Use the leftovers another night to make Taco Soup Tostadas. The soup is delicious and comes together so quickly. Perfect for a busy weeknight in the Fall and Winter. Nonetheless, we do eat it year round here. How funny! 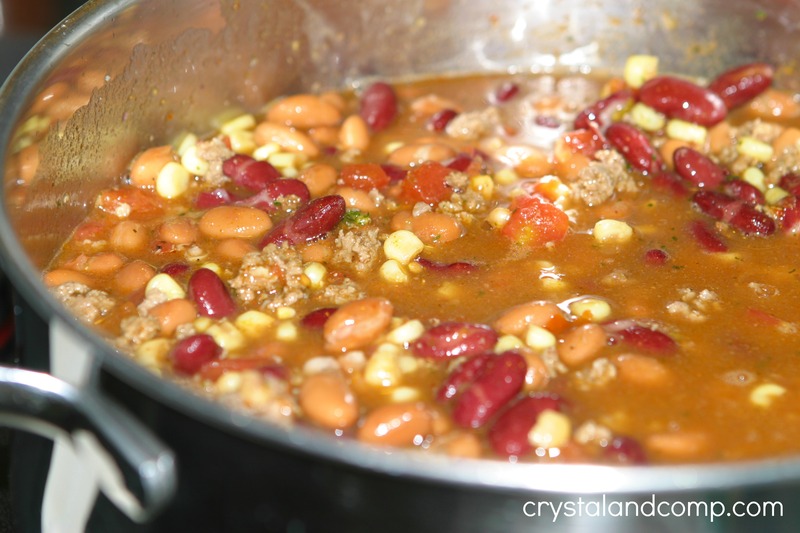 I am making Taco Soup tonight! The recipe I linked to in a post on my blog is a little different. I was missing one ingredient. Luckily, I saw your post title on Titus 2 Tuesday and can substitute using one of your ingredients. Thank you for sharing. I hope you stop by to visit A Learning Journey. Have a great day! I just love your Taco Soup, it is a perfect soup for fall. Thank you so much for sharing with Full Plate Thursday. Hope you are having a great weekend and come back soon!